Employment Law | Law Offices of Martin & Hipple, P.L.L.C. Martin & Hipple are here to guide you through New Hampshire’s complex Worker’s Compensation statute, to help you understand claims based on employees’ rights, and to help you advocate for your rights before New Hampshire Employment Security administrative proceedings. 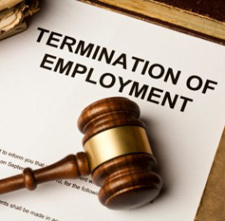 We can also help with hiring, firing, and employment contracts. Let us put our experience to work fighting for you.